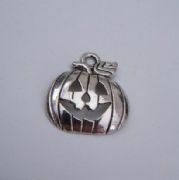 Halloween Clip On Charms are perfect to attach to Halloween Trick or Treat Bags. The Halloween Clip On Charms can also be attached to anything with a Zip, such as a Purse, Make Up Bag, Laptop Bag, Camera Case, Pencil Case and More. 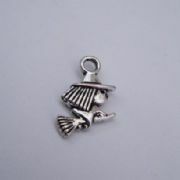 Lots of different charms to choose from. 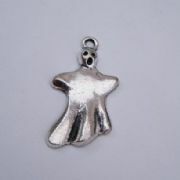 Friendly Ghost Clip On Charm. Lovely Gift Idea to be attached to a Bracelet, Gift Bag or anything with a Zip. 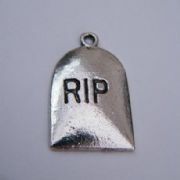 Gravestone Clip On Charm. Lovely Gift Idea to be attached to a Bracelet, Gift Bag or anything with a Zip. Halloween Pumpkin Clip On Charm. Lovely Gift Idea to be attached to a Bracelet, Gift Bag or anything with a Zip. 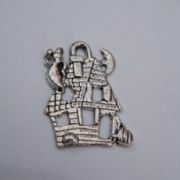 Haunted House Clip On Charm. Lovely Gift Idea to be attached to a Bracelet, Gift Bag or anything with a Zip. Mini Witch Clip On Charm. Lovely Gift Idea to be attached to a Bracelet, Gift Bag or anything with a Zip. 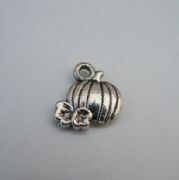 Pumpkin Clip On Charm. Lovely Gift Idea to be attached to a Bracelet, Gift Bag or anything with a Zip. 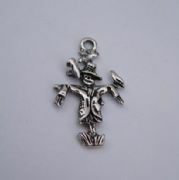 Scarecrow Clip On Charm. Lovely Gift Idea to be attached to a Bracelet, Gift Bag or anything with a Zip. Scream Ghost Clip On Charm. Lovely Gift Idea to be attached to a Bracelet, Gift Bag or anything with a Zip. 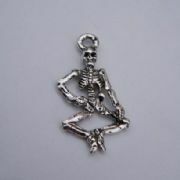 Skeleton Clip On Charm. Lovely Gift Idea to be attached to a Bracelet, Gift Bag or anything with a Zip. 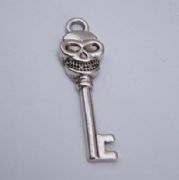 Skeleton Key Clip On Charm. Lovely Gift Idea to be attached to a Bracelet, Gift Bag or anything with a Zip. 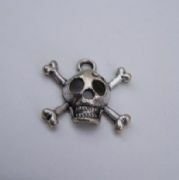 Skull & Bones Clip On Charm. Lovely Gift Idea to be attached to a Bracelet, Gift Bag or anything with a Zip. 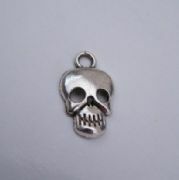 Skull Clip On Charm. Lovely Gift Idea to be attached to a Bracelet, Gift Bag or anything with a Zip. Small Witch Clip On Charm. Lovely Gift Idea to be attached to a Bracelet, Gift Bag or anything with a Zip. 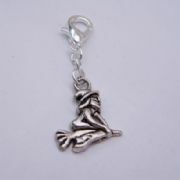 Witches Hat Clip On Charm. Lovely Gift Idea to be attached to a Bracelet, Gift Bag or anything with a Zip. Witches Hat With Pumpkin Clip On Charm. Lovely Gift Idea to be attached to a Bracelet, Gift Bag or anything with a Zip.